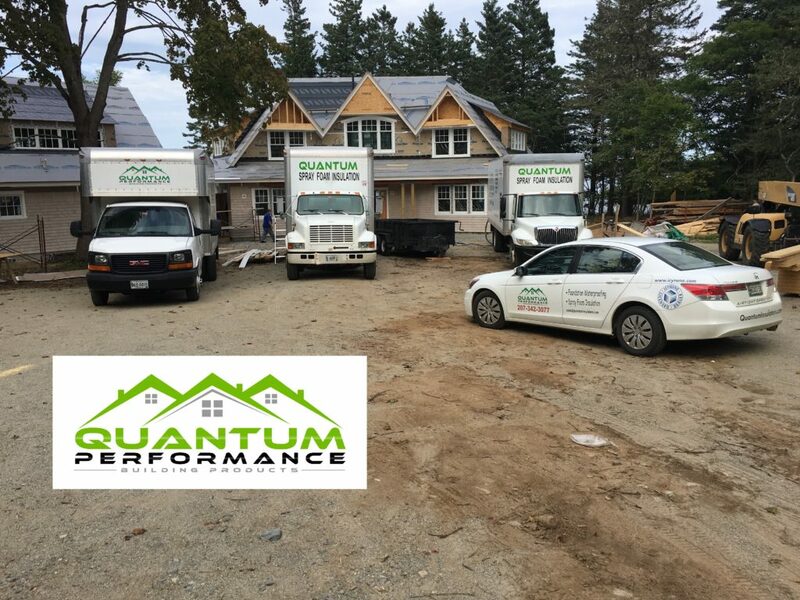 Quantum Performance Building Products is the Bangor Maine insulation contractor. 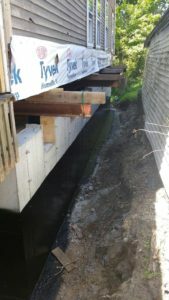 Here is a job we did in Down East Maine. We put 9 inches of closed cell spray foam in the roofdeck. Therefore, we had to do multiple passes with our gun on the roofdeck. This made the job especially challenging because the whole roofdeck needed staging in a few areas. 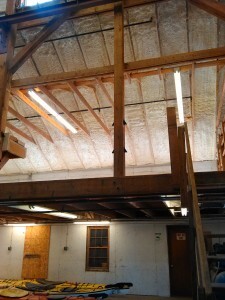 We used Icynene HFO spray foam insulation for the envelope and used Roxul insulation for sound insulation. 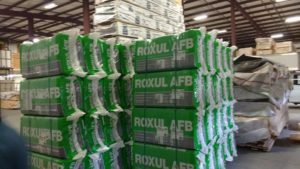 Overall, we were able to keep the customer on schedule because we worked as a team and had more than one team going to install the insulation. We had two spray foam insulation crews and fiber insulation crew onsite to get this job done on time. We are the most experience insulation contractor in the sate. 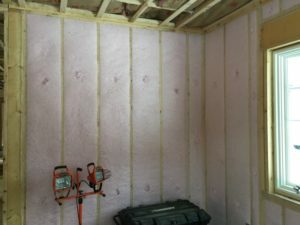 If you want your insulation job right give us a call! Check Out Other Past Jobs CLICK HERE! Posted on October 1, 2018 by Peter Courand. 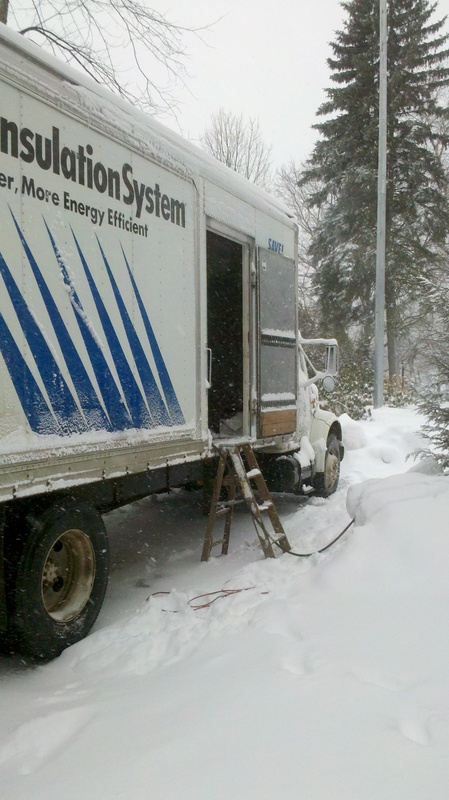 This entry was posted in Spray Foam Insulation and tagged Bangor Maine Insulation, Bangor Maine Spray Foam Insulation, Central Maine Spray Foam Insulation, Ellsworth Maine Insulation, Maine Spray Foam Insulation, Portland Maine Insulation. Bookmark the permalink.